Christmas is the season of giving. Here at Salt Lake Community College, two clubs take this meaning to heart as they work to spread holiday cheer. Every Christmas, DECA puts together a Build-a-Bear project where they coordinate with the Build-a-Bear Company and create hundreds of bears for the Shriners Hospital for Children. SLCC DECA has received a National DECA award for the Shriners Hospital project. 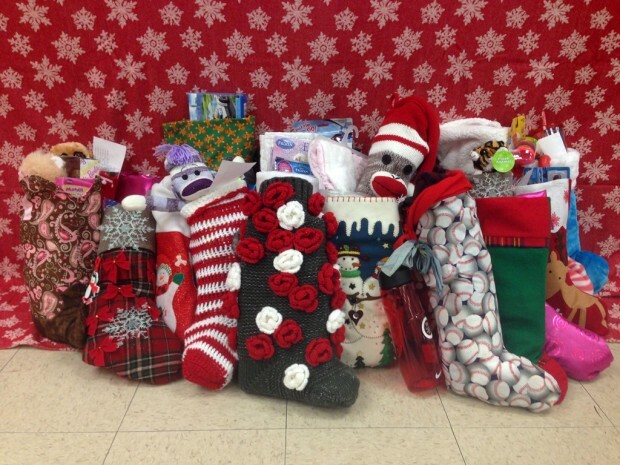 The Interior Design Club spread the joy by doing a stocking drive as part of Helping Kids with Cancer, a non-profit that helps children and their families with critical needs. The stockings are given to the children going to Primary Children’s Medical Center during the holidays. Many of the stockings are hand-made and each one is stuffed with items for a certain age and gender, from infants to 18 years old. For more information on how to get involved in a club visit slcc.edu/sll/clubs-and-organizations. For opportunities to volunteer throughout the year visit slcc.edu/thaynecenter.